Quokka is an Australian native and short-tailed macropod. It is better known as "the happiest animal int the world". It is small in size, weighing merely 5 to 10 pounds, compared to the other marsupials in the macropod family. Quokkas can be found in smaller islands like Rottnest Island off the coast of Western Australia. Quokkas are very curious animals, so if people give enough time for them to warm up, one of them will naturally come close enough to check humans out. 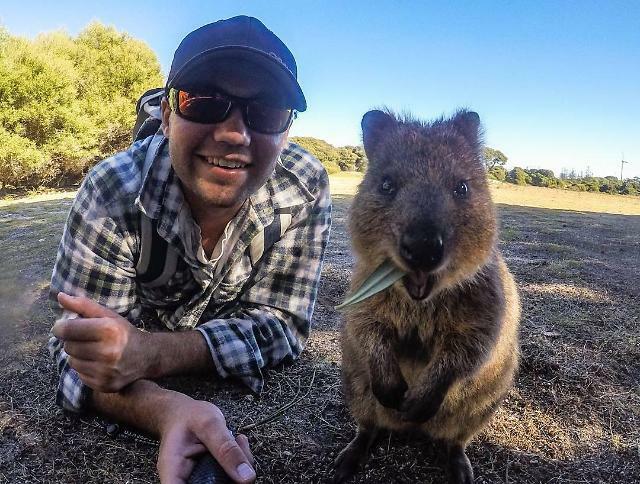 The story of an Australian man named Campbell Jones went viral in January this year after he posted a story of a quokka chasing after him after Jones briefly stopped to snap a photo of a group of quokkas by the roadside. 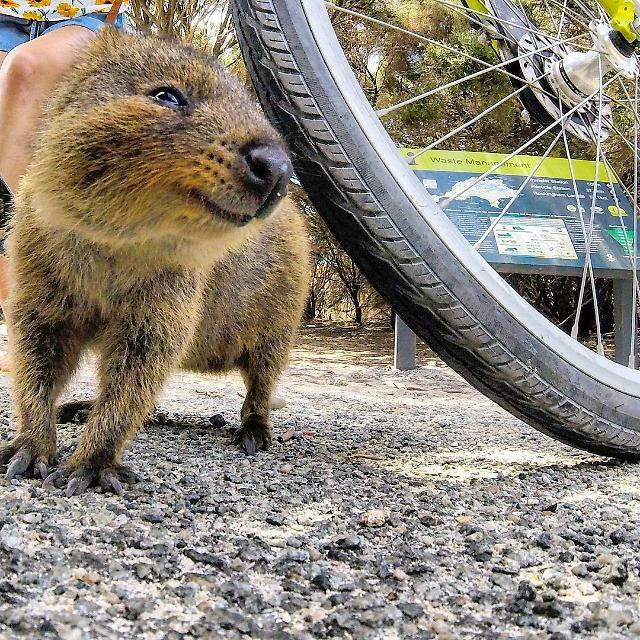 Jones said in an interview with the West Australian, "As I walked back to my bike, the quokka chased after me. I put down the GoPro and it jumped at me as if to say, 'Come back.'" His original post on Instagram garnered over 8,000 likes and went viral in the other social media platforms. Fortunately for the story's fans, the relationship is still an on-going one. Jones visit the quokka in Rottnest Island and the bond is getting stronger. You can check out all of Campbell Jones and the quokka's photos here.